There is no shortage of water heater products on the market. So when it comes to replacing yours, how do you know what’s best? There are many factors to consider including how many people are in your household, what type of energy efficiency you’re looking for and of course price. Without professional advice, you may choose and install a product that doesn’t meet your needs. A plumbing and heating professional can advise you on the right product for all of your needs. Plumbing codes vary from county to county and may prohibit self-installation. Because hot water heaters require plumbing and often gas line hookups, a permit may be required. 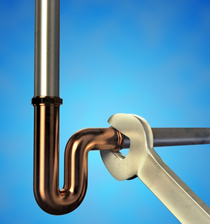 Before installing, a plumbing professional should be consulted to ensure that the installation is done to code. Unless you are a plumbing professional, you most likely do not have the materials required to install a hot water heater on hand. And while a video site may convince you that the task is an easy one, it is not. Hot water heater installation requires plumbing knowledge and expertise. Not all hot water heaters that malfunction need replacing. But how can you tell? A licensed plumbing professional can diagnose your hot water heater issue and advise you on whether it needs replacing, or if a repair will restore functionality. Installing a hot water heater can be tricky. When done right, you will have a product that will last for years to come. When done wrong, the consequences could be dangerous. Hiring a licensed plumbing professional to do your hot water heater installation will give you peace of mind in knowing that your new hot water heater will be safe and will last for years.